Last night, I attended a sort of Halloween party/housewarming get together at my friend’s new apartment. She went all out with decorations, festive plates, and napkins, and way more food than we could eat. I was in charge of dessert, and was told to try to make something fitting with the Fall/Halloween theme. I brought apple donuts (yes, made from our Apple Picking excursion). Making them is actually much more simple than I thought. First things first, I needed the proper equipment. I ran out to Bed Bath and Beyond to grab two of their donut pans. They were $9.99 each, but with a $5 off coupon, I was able to get them both for $15. Next, I searched for a good recipe. I came up with this one. I was glad to see they were baked, not fried. I mean, not that these babies aren’t filled with butter and sugar, but still, baked was a plus to me. I followed the directions exactly, but I ended up with ten donuts instead of nine, as the recipe stated. 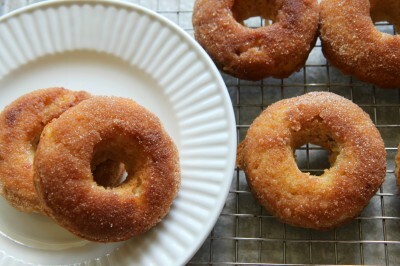 Consequently, the cinnamon-sugar mix only had enough for exactly nine donuts. That last donut came out extra cinnamon-sugary because I just threw random amounts in a bowl and coated the donut in it until there was none left. The donuts got rave reviews from my friends and the husband. Looks like this recipe is a keeper! 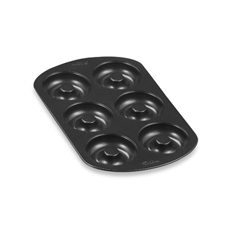 And, now that I have some new bakeware, more donut making is certainly in my future. At the party, the donuts were nicely paired with some mulled wine, which was just an absolutely perfect combination. And very appropriate given the fall theme. As for my apple count, I still have about four apples left. We’re almost out…finally! As I’m sure you’ve picked up, I love all things fall. Butternut squash is one of those great fall foods that I can’t get enough of right now. I’m obsessed with it. So, I made some soup. Yes, that is a stock photo from the Food Network. I didn’t take any photos of the soup, probably because I was too busy eating it. In any case, I got this recipe from my dear friend Lauren as a response to my Apple Picking post. Yep, there are apples in there. This soup couldn’t be easier to make. The hardest part was chopping everything up. Combine butter, onion, celery salt, and carrot in large saucepan. Cook for 5 minutes. Add squash, apple, and broth. Bring to boil. Simmer until the squash is soft. We left our squash simmering for quite a while (we may have forgotten about it), but it was fine. Once we remembered, the squash was a bit mushy, and we pureed it in our blender. Do this step in a couple batches. If you put too much in the blender, the lid may fly off and you might get liquid everywhere. Not that it ever happened to me, I’m just saying it could happen. I actually made this soup for us to eat throughout the week instead of right then, so once the soup cooled, we put it in a container and into the fridge. It re-heats deliciously. For spices, you can go wild with cinnamon, nutmeg, salt, pepper, or any other spice. We kept it simple by adding just salt and pepper. A great topper is also smashed up pita chips. So far, we’ve gotten four bowls out of the recipe, and there is easily three bowls left. These were side servings, not the whole meal, but still, I was pretty impressed by how far the recipe stretched. 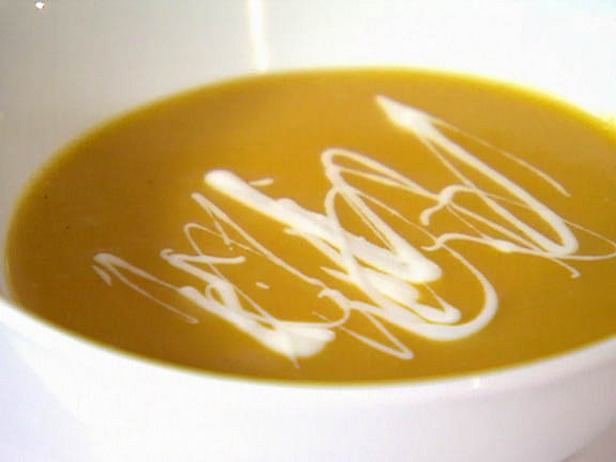 I’ve had other butternut squash soups, but this recipe is by far my favorite. I think it may be because, unlike other recipes, this one uses an apple. It’s a touch of unexpected sweetness and just gives the dish an extra something. Try it. I’m finally getting around to writing about what I did with some of those apples I picked with my family late last month. 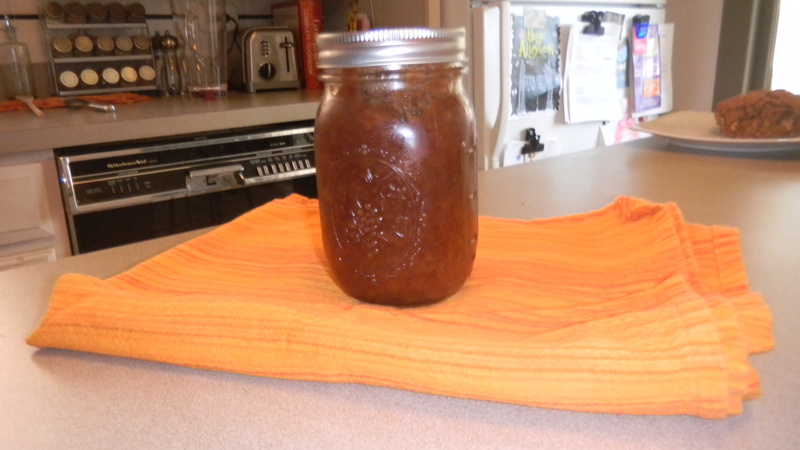 I made some apple butter! 1. Using up those hand-picked apples before they went to waste. 2. 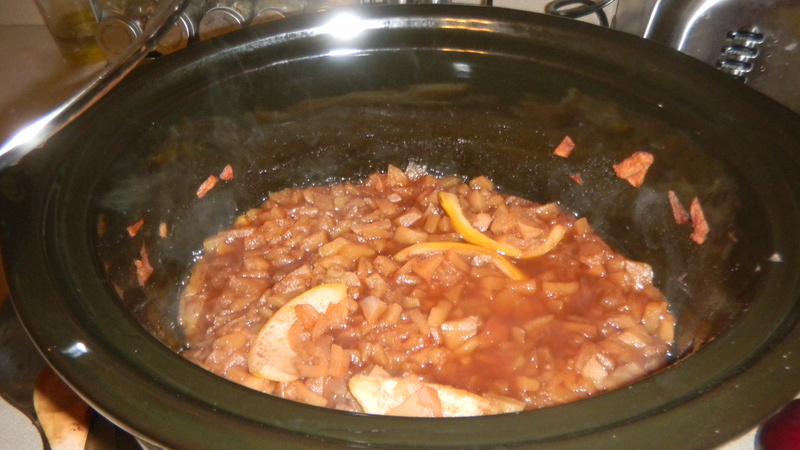 Cooking the apples in my slow cooker (can’t get enough of that handy gadget!). 3. Making the house smell like apples and cinnamon. Mmmmmm. 4. 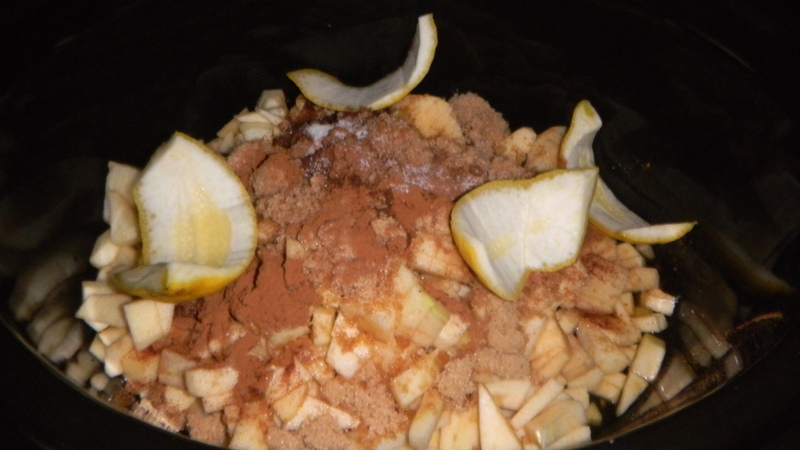 Putting to use the “fall” spices – nutmeg and cloves. Throw all of the ingredients in your crock pot. I put my apples in first and covered them with the rest of the ingredients. Turn the temperature up to high and let it cook all day. Mine cooked for about six hours. I left the lid off for the last hour, which helped reduce the amount of liquid. Remove the lemon peel, spoon into a jar, and that’s it. You can puree the mixture if you prefer a smooth consistency, but I left mine chunky. Enjoy on toast, bagels, English muffins, scones (like us), or whatever else your heart desires. Though this post may seem out of place because it has gotten unseasonably warm here this week, I had Dan bring up my boxes of heavy winter gear last week when it was chilly out and I had not a thing to wear. Now, I’m kind of glad I didn’t switch everything out just yet. But, as I began the process of switching out my summery flowy dresses for my thick knit sweaters, I looked through all my old stuff and realized I need new sweaters. Well, I want new sweaters. 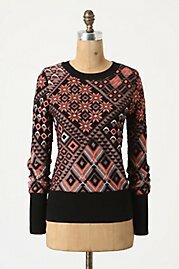 I did some online window shopping and in a dream world where money was no object, here are the fancy sweaters I’d be buying. Of course, money is a factor, and all those lovely sweaters were too rich for my blood. 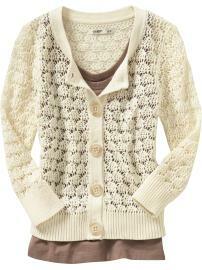 Instead, I turned to a more economical store (Old Navy) to satisfy my sweater cravings. Much to my surprise, I actually found quite a few cute items. And they were quite the bargains. 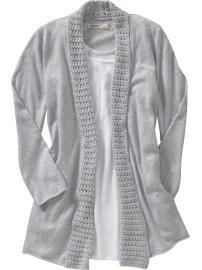 All were bought during Old Navy’s sweater sale, which gave me 40% off. Then, I had a coupon code for another 30% off my purchase and free shipping. All three were about $32. 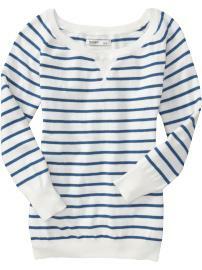 Here’s to fall…when it gets here! I’m big on preserving memories. A memory can easily be forgotten, but a handwritten note, an old photo, or a journal live on and all tell a story. Dan will tell you, I attach a memory to almost everything, which is quite possibly why I have such a problem throwing anything out. I even have an old box of birthdays cards given to me over the years from family members and friends. I do go through them periodically, and try to get rid of some of them that have the least amount of sentimental value, but even that is difficult for me. As Dan has realized, I am a preserver of all our memories. I see a photo and I can instantly tell you when it was taken and what we were doing then. At the beginning, Dan and I took tons and tons of photos together – I wanted to capture every moment. Now, I’m slower to reach for the camera, and it shows. The photos of us together the last couple years have significantly decreased. Sometimes, I forget the camera. Sometimes, it’s inconvenient to have a camera around (like our recent kayaking trip). Sometimes, I have the camera, but get too wrapped up in what we’re doing to think about it. As a fun way to keep the memories, but not have photos, I decided to make a memory box. I’ve seen a few different kinds of ideas on memory boxes. This memory jar seemed fun. 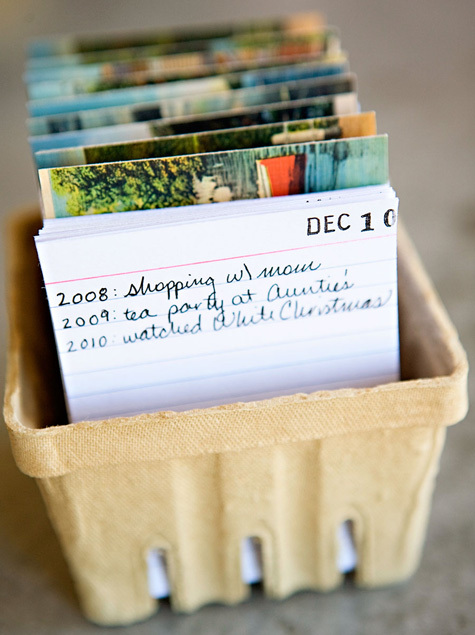 You add in little notes throughout the year of fun things you did. 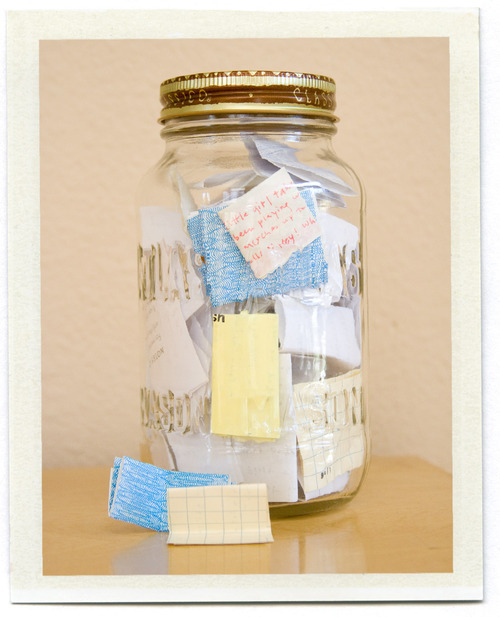 You can make a jar each year, or read all your notes at the end of a year and start fresh for a new year. I wanted something that would span over a period of years, and I didn’t want to start having memory jars around, since I already am on the vacation memory jar kick. 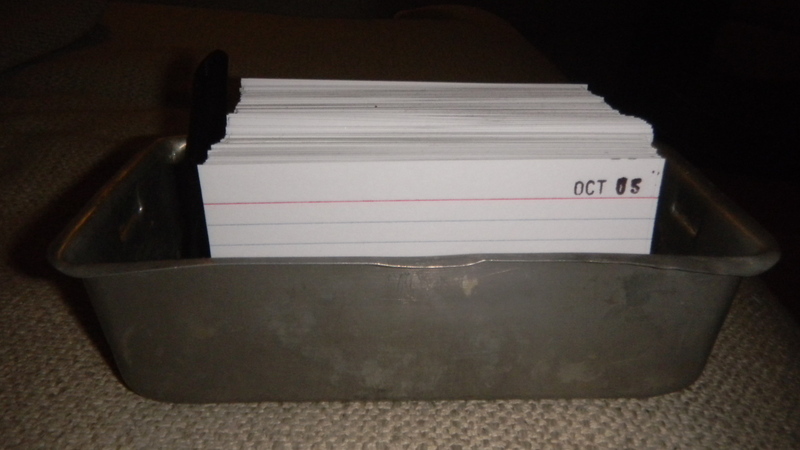 I settled on a simple set up: index cards stamped with the date, like January 1, with no year attached to it. This memory box that used an old berry container was my inspiration. Making it is super easy. 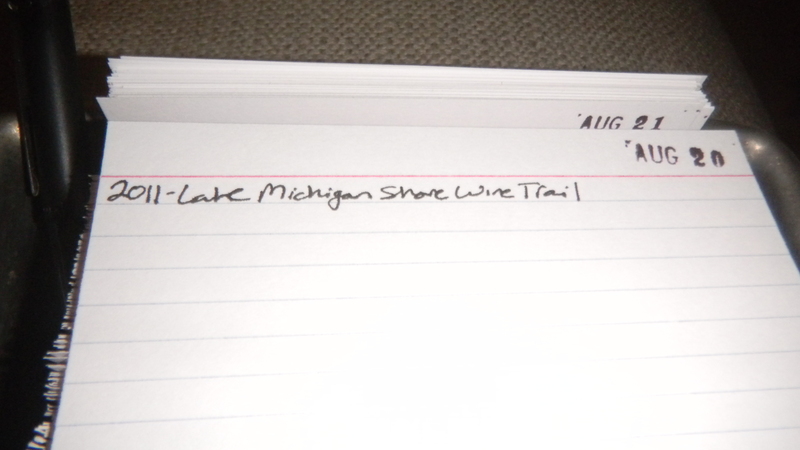 You just need index cards, a date stamp, an ink pad, and a container to hold all the note cards. 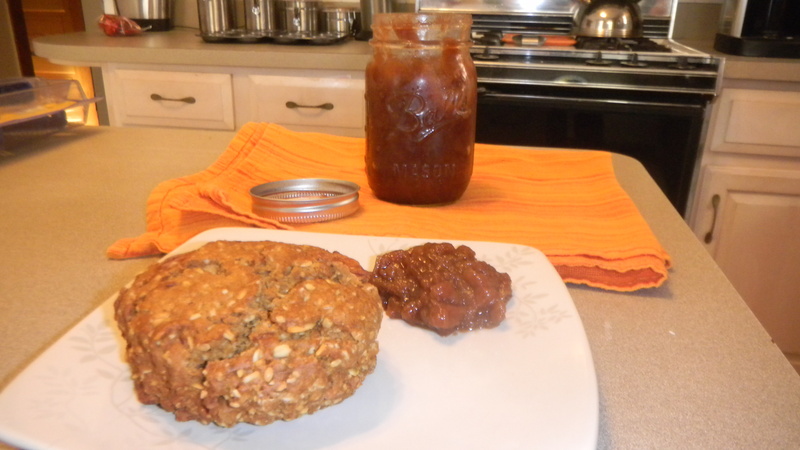 For my container, I used the $1 vintage mini loaf pan I found at the antique store on our Saugatuck trip. I told you I had a fun idea for it. 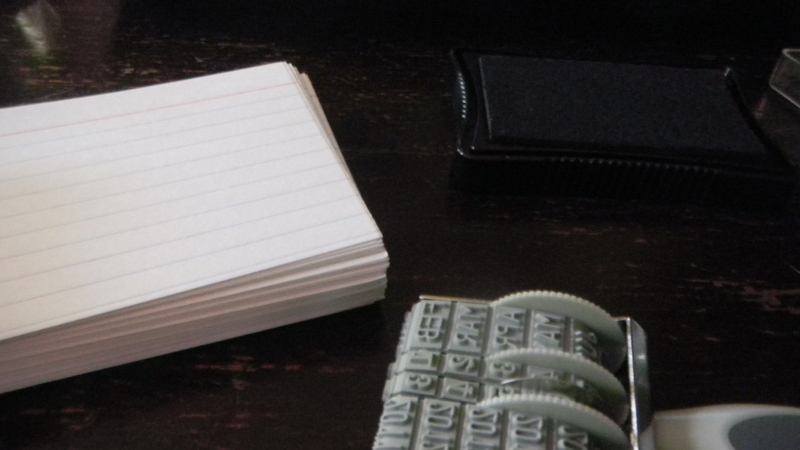 I stamped 366 index cards, one with each day of the year (don’t forget leap year!). I placed them in order in the pan. I’m thinking that maybe one day I can separate the cards by month or something, but for now, I think this set up works just fine. I’m using it as a calendar, keeping today’s date in the front. I’m writing the year on the left, and the memory right besides it. These cards should last quite a while, and by the time they’re full, we’ll be able to see all the wonderful things we’ve done on that date. Originally, I intended to use these cards only for special dates, like what we’ve done on our birthdays, anniversaries, and holidays. But then I thought, why not capture the fun little things that happen us on a day to day basis? The other night, I made pad thai from a box, and served it on our wedding china. A few weeks ago, while watching TV in bed, a line from King of the Hill had me laughing hysterically over the whole commercial break. I’ll be sure to include memories like that too. Some cards will stay blank, meaning nothing super memorable happened that day. Maybe that will become a motivator for us to try new things, go on spontaneous dates, or even just go on a long pleasant walk with Phoebe on those days that nothing special has happened in the past. Here’s to hoping this project is a success! My BFF, Liz, had a birthday a couple weeks ago, and when it came time to figuring out a gift, I knew part of it had to be DIY. Liz has been really supportive of this blog, and always pushes me to use my creativity, so I knew she would love something made with my hands that came from my heart. I decided to make her some one of a kind coasters for her new apartment. 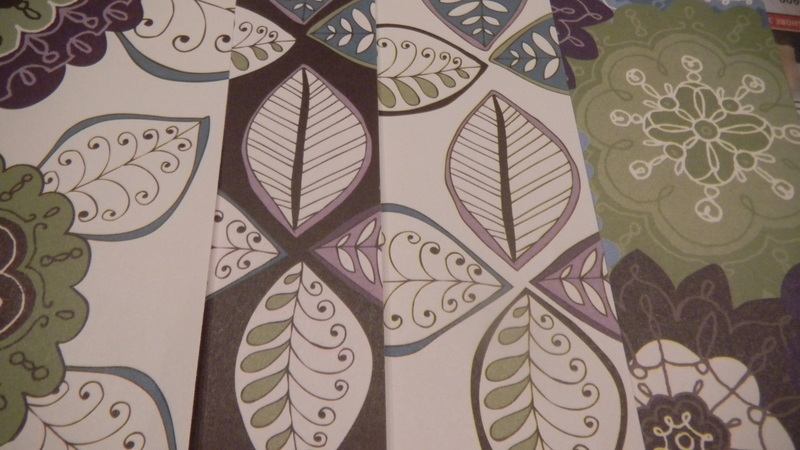 I found plain white tiles at Home Depot.I gathered together some scrapbook paper in complementery colors that I knew she would like. 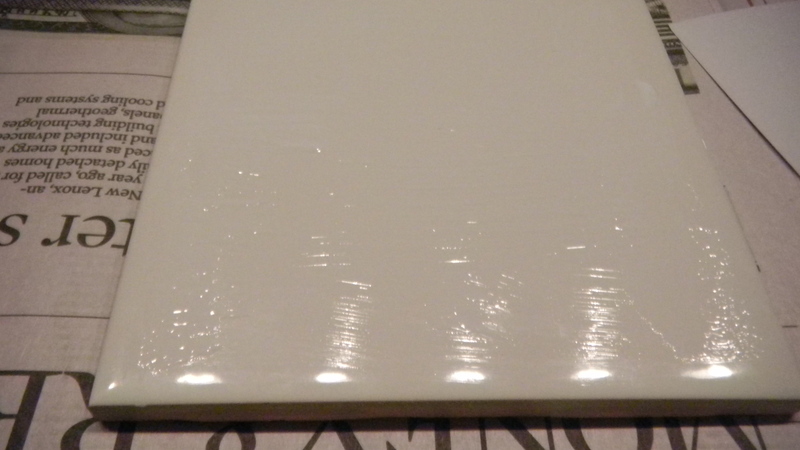 I cut out four square pieces, each just a little smaller than the top of each tile. 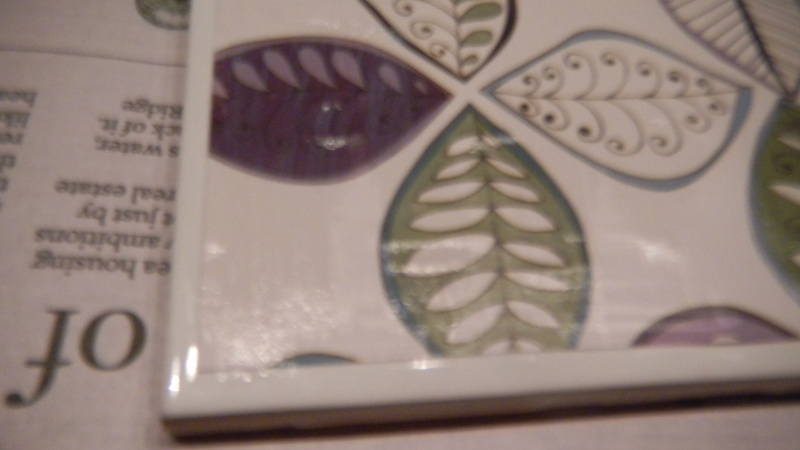 Next, I broke out my Mod Podge.I put a think layer on top of each tile. Press the scrapbook paper on top. 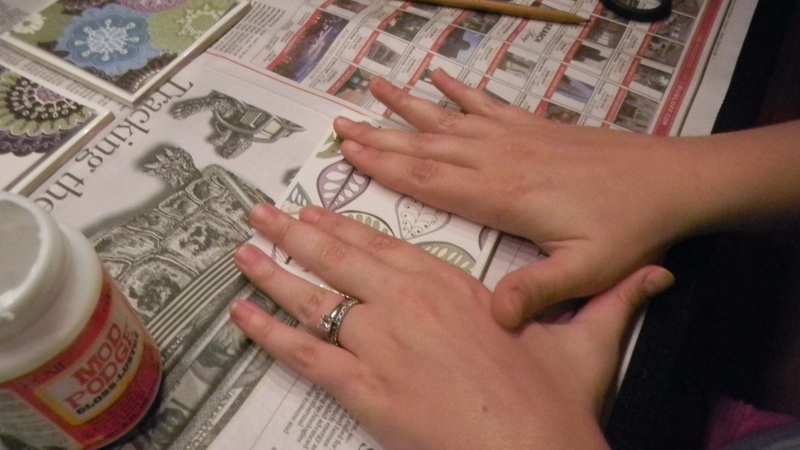 Use 2-3 coats of Mod Podge, allowing each coat to dry before putting on the next layer. 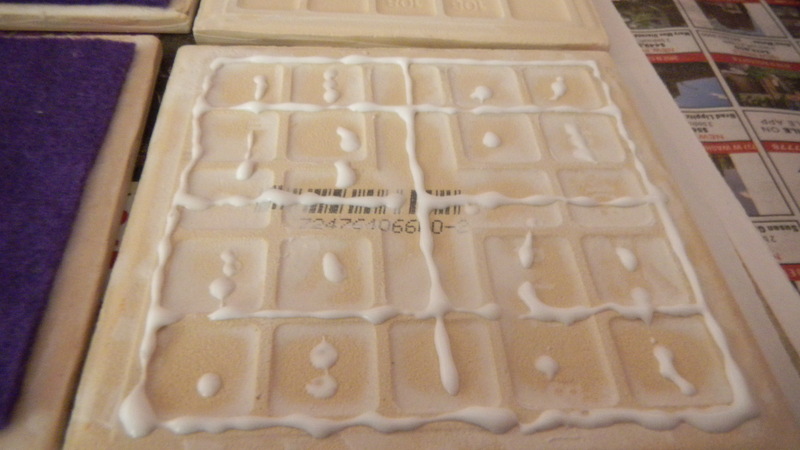 To seal the coaster and make it completely waterproof, I sprayed each with clear sealer, found in the spray paint section of Home Depot. Finally, I cut out square pieces of felt and glued it to the bottom of each coaster, so they wouldn’t scratch her table. I tied a bow around them and placed them in her gift bag.